So my little journey to the Sugar Free side of the culinary world has been much easier than expected. It’s amazing how little I miss the things I used to love. The one thing I was worried about was the occasional dessert. I knew the old way of eating desserts was off the table (who needs to eat entire pints of Ben & Jerry’s Americone Dream anyway?) but I knew I wanted something sweet sometimes. Hope you enjoy it as much as I did! 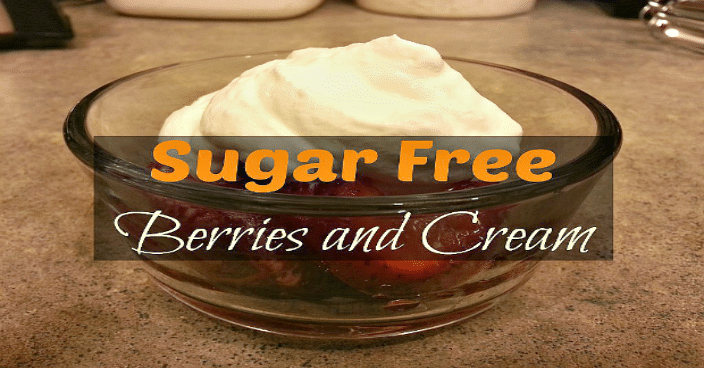 Place Strawberries in serving bowl, top with whipped cream. PREVIOUS POST Previous post: 5/14 Weightloss Wednesday: 13 Pounds Gone!